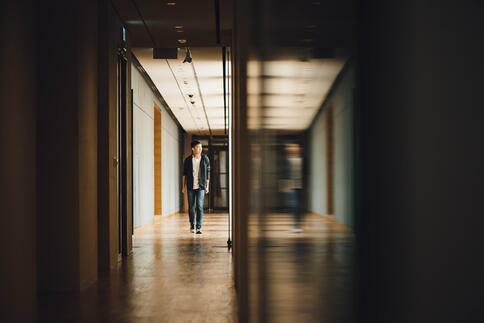 With the media focus on school shootings during the last two decades, schools are increasingly concerned with security and communications on school campuses. Conventional means of communications between teachers and students consist of phone calls, texts, two-way radios, and the school PA system. These are fine for everyday communication; however, during a emergency situation, there is no way to instantly connect all teachers, students, and staff on one platform. Zello is a communications tool that helps solve this problem by creating live group conversations between campus security, teachers, and students with the tap of a finger on a touchscreen. You can think of Zello as transforming smartphones, tablets, and PCs into virtual walkie-talkies. But, unlike walkie-talkies, Zello has the unique ability to create large group conversations using a “Channels” feature. Users just need to install the Zello app, create an account, and join a channel to participate in real-time voice conversations with other users. Zello channels have no limits on frequencies, number of channels available, or subscribers per channel. The only limit is that 3500 subscribers can be online and connected to a channel at any given time but even this limit could be raised if needed. The beauty of Zello is that anyone can download Zello for free, and it works on virtually all makes and models of smartphones, whether Android, iPhone, iPad, Windows Phones, or even Windows PCs. It runs on any carrier’s cellular network or WiFi. 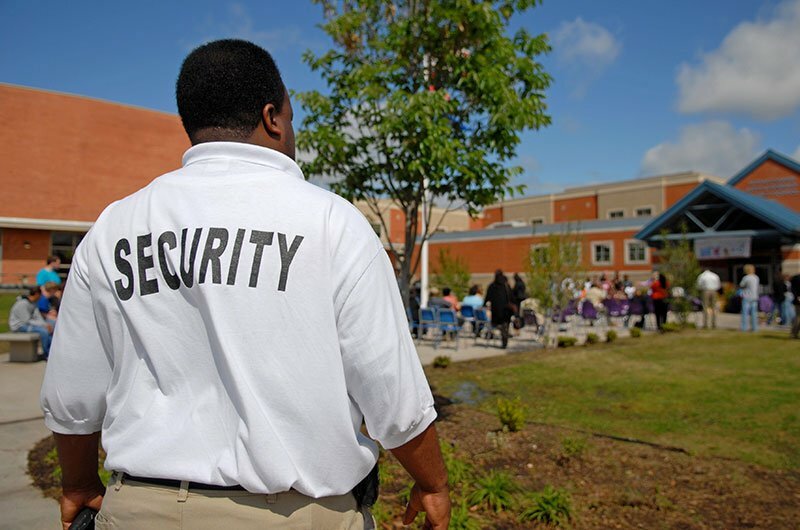 For schools that need a more robust, secure, and private network, there is also a paid subscription service that allows for more managed campus communications and also offers a gateway option to integrate existing two-way radios. But for this article, we will concentrate on the free app, as that is the most viable option for campuses with thousands of students and on a tight budget. This article is not meant to be a step-by-step “how-to” guide but, instead, a top-level summary on how to use Zello for school security and communications. If you need more detailed information, please see the Learn More section at the end of this article. All free Zello downloads are available from the zello.com website. Alternatively, you can go to the individual app stores for your platform and download it from there (for example, Google Play, iTunes App Store, Windows Store). After downloading the app, users create a new account on Zello. The only requirements to create an account are a unique username and an email. The email is not shared but is used to reset passwords, so we recommend you enter a valid email or keep your password in a safe place. The username cannot be changed once created, so carefully consider how you want to identify yourself. You may not want to use personal emails as usernames. If you are using Zello for school communications, you probably want to use first and last names and other identifiers; for example, J.DoeTeacher or JohnDoeStudent. Instruct others of the naming convention to use when creating their accounts. That way, people on channels can easily identify who is talking and quickly find people in their Users or Contacts lists. After the Zello administrative team creates their accounts, someone on the team should be given the task to create channels for the school to use. This person will become the “Owner” of the channels. Planning a channel structure ahead of time will make management of different groups on channels easier. Careful thought should also be given to channel names as they cannot be changed once created, and there is no way to migrate users from one channel to another another. Think of how you plan to use channels. Do you want one channel for everyone to use, or separate channels for different teams of people, or both? Think about channel type - do you want everyone to listen and talk on a channel, or do you want a broadcast-only channel where only the Owner, Mods, and Admins can speak? What level of privacy do you want on each channel, will you need a password on the channel? These are the types of settings in the channel profile that the Owner will need to set when creating the channel. Channel type of “Anybody can talk” or “Listen only/Zellocast” for broadcasting. Set “Show in trending” or “Promote” options to OFF. This prevents your channel from displaying on the public Trending lists in Zello. (Optional, for added privacy) Set “Require password” to YES. Add a channel password that your users can easily remember, like your school mascot’s name. Accepting an invitation to join the channel sent by the Owner. Once the channel is added and on the user’s Channels list, they must connect to the channel by tapping on the power icon next to the channel name until it turns blue. The user’s Menu>Status should be set to “Available” to hear messages real-time. To suppress audio from playing, the Status can be set to “Busy”. Messages received while in Busy mode are sent to History, where the user can play them at a later time. To start talking in the channel, users simply go the channel talk screen with the big round button, press and hold until the big button turns solid red and begin talking. Release the button when done talking. When receiving a message, the button turns solid green. Everyone online and connected to the channel will hear all messages as they are transmitted. All channel conversations are recorded in History and stored on the user’s device, making Zello invaluable if users miss a message or need to replay a message. Shared channel images and texts are also stored in History. Make Zello channel testing a regular part of school drills conducted for emergency situations. This will ensure that all staff, students, and security team members are educated on its use and able to access channels quickly during a crisis event. During an emergency situation, channel Owners have the ability to send out loud repetitive Channel Alerts. Alerts send out loud beeps every one minute, along with a text message, to subscribers whether connected or not to the channel. Use Channel Alerts to inform users/subscribers to connect to the channel and listen for further instructions. NOTE: Subscribers have to “opt-in” to receive these channel alerts. The opt-in setting is located at the channel profile. If the channel type is normally “Anybody can talk” but you want to reduce chatter to send out vital information, the Owner or Admin can change the channel type to “Listen only” or “Zellocast” for broadcast mode. Then only the Owner, Mods, and Admins can speak, but everyone can listen. Channel types and other settings can be changed dynamically as needed by using the channel profile screen. Subscribers on a channel can also send their location, share images with text if they cannot talk on the channel. After a crisis is over, there is still the need to connect with others, so channels can be a meeting place for students, teachers, and parents to console and share. You can invite outside counselors and other support personnel to join your school’s channels. Zello has no distance limitations, so people can connect from wherever they are, whether at home, on or off campus, or even out of the country. Though this article focuses on using Zello during an emergency, it’s also useful for daily communications. Channels can be used to create and conduct Personal Learning Networks (PLNs) for teachers. Teachers can also create classroom channels where students can discuss topics and assignments with each other outside of the classroom. Students and teachers can create temporary work or study groups by using the “Group Conversation” feature on Zello. Simpler and faster than Channels, Group Conversations are created ad-hoc by selecting users from a Contacts list to become members. The group name can be customized by the members. No authorization or channel profile is required, and members can leave or delete the group at anytime. 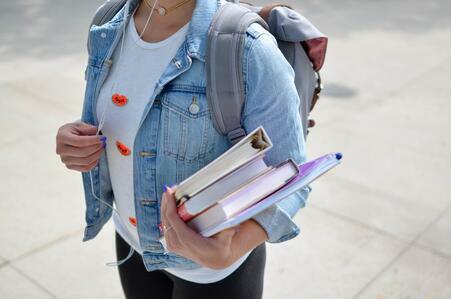 Zello channels can also be used to coordinate students and staff during extracurricular events, such as band and sports, or off-campus outings. Think of Zello as a replacement for two-way radios, phone calls, and texting. It’s ideal for short bursts of communications where an immediate response is crucial. Unlike phone calls, you don’t need to dial, wait for an answer, or leave a voicemail. It’s faster than texting, and the meaning of voice messages is harder to misinterpret than texts. We have many schools already using Zello as their primary communications system. If you’re interested in learning more about Zello and how to set up security and emergency channels for your particular school, please email support@zello.com for more information. You can also browse our Knowledge Base for user guides and FAQs. We welcome your feedback on how we can improve Zello for schools as well.